Charlotte, our Archives Assistant (Graduate Trainee), spends quite a lot of her time working with our visitors and readers at the Reading Room desk, so she is the first person whom many of readers see or speak to. 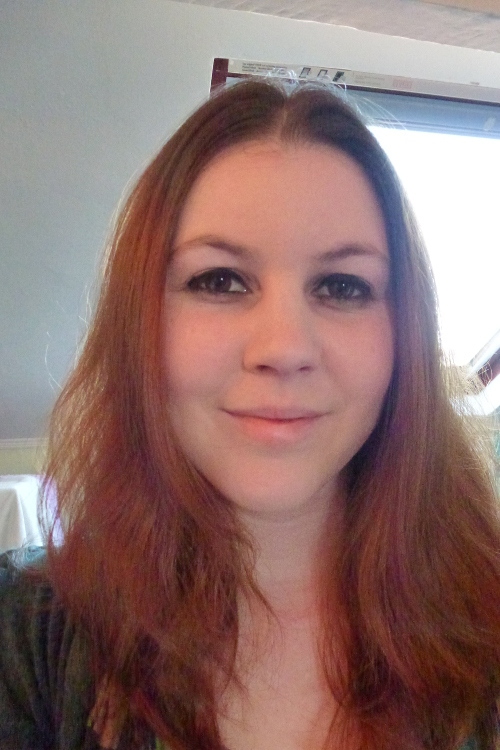 We thought we’d introduce her here in the first of our regular series of staff profiles. I’ve been the Reading Room Assistant here at MERL/Special Collections since last October. Before that, I studied English and Sociology at the University of Leeds, and volunteered in their special collections library, helping to catalogue the Tony Harrison and Melvin Bragg collections and digitising reel-to-reel tapes of poetry readings. In September, I’m starting the MA Archives and Records Management course at the University of Liverpool. How did you get involved with Special Collections? During my time as a volunteer, I decided that I’d like to pursue archiving as a career. So I began applying for Graduate Trainee posts, and was offered the job at MERL. What is a typical day like for you? What have you been working on recently? A usual day for me involves general Reading Room supervision, answering enquires about the collections, producing documents for readers and dealing with copying orders. I also have a couple of background cataloguing tasks ongoing. I have worked on the Centre for East German Studies Film Collection and the Hugh Sinclair project, and I’ve also started cataloguing small collections on Adlib, most recently a new accession of steam rally programmes. What is your favourite part of Special Collections? One of the main things I enjoy about my job is that I can work with so many different collections across both the Special Collections and the MERL archives, and I often come across unexpected and intriguing items. 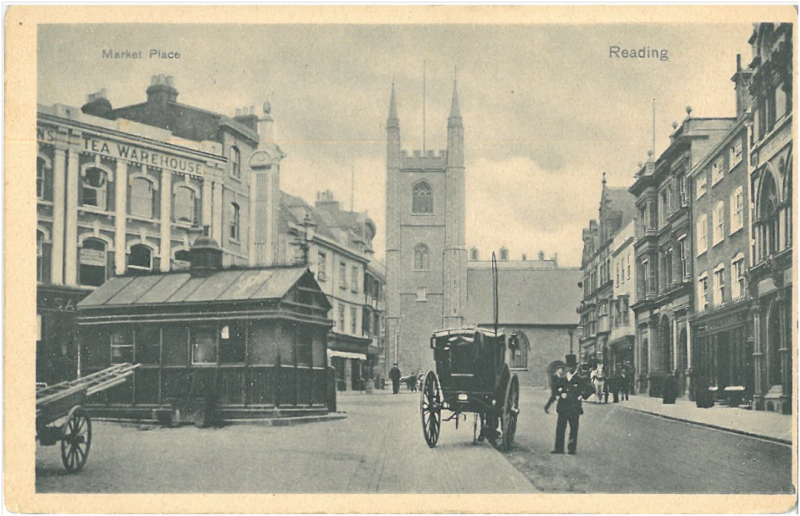 Recently, quite by accident, I discovered some old picture postcards showing images of Reading from around 1908, including the Market Place, Station Road and Broad Street, and it was fascinating to see how the city has changed. It’s also great to see on a daily basis how useful and interesting the archives are to researchers. The first in our ‘Favourite Finds’ series looks at cake – a staple in every workplace. Claire Wooldridge, UMASCS Graduate Trainee, elaborates. In anticipation of today’s #MusCake theme, it soon became clear to we of the special collections library team that delicious cake temptation runs through our collections like the jam in a Swiss roll. Featured below are just a few items from our MERL library and special collection rare books that will surely delight all cake lovers. 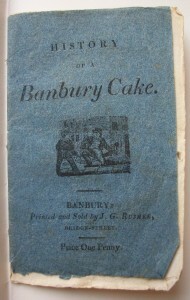 Talking Banbury cakes are just the beginning! 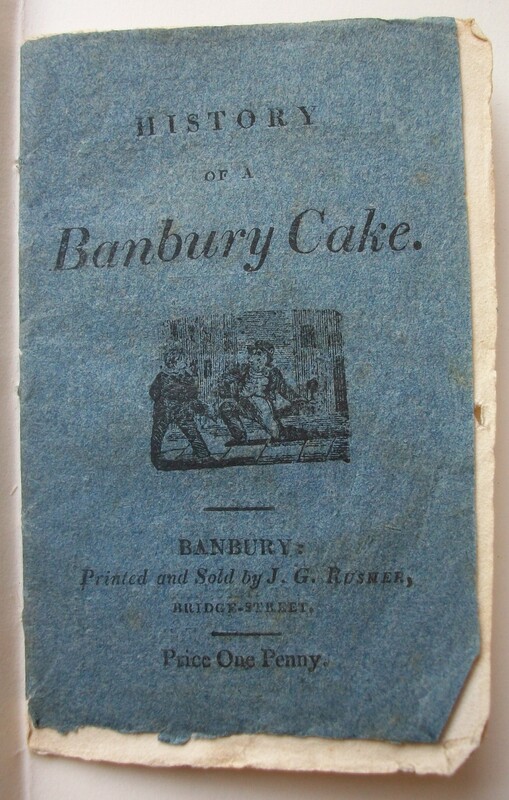 The extraordinary Banbury cake (much like an Eccles cake) quoted above is the subject of The history of a Banbury cake: an entertaining book for children, published in 1835. This book is a real treasure of our children’s collection. The miniature 11x7cm text with its original blue paper binding (with pictorial covers) has been preserved inside a larger, modern casing. 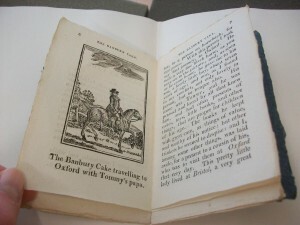 The delightful tale of a talking and kindly Banbury cake documents its sale and subsequent journey from Oxford to Bristol. 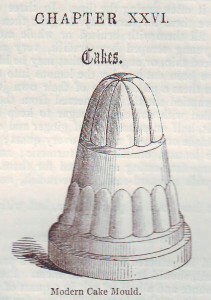 Before meeting its end by ‘falling prey to Billy’, the cake imparts moral and behavioural advice to its ‘little readers’, so that they will be ‘respected and beloved by all who know you’. A cake with a message indeed! Eliza Acton was an early nineteenth century cook who wrote one of the first books on cookery featuring lists of ingredients, timings and instructions to produce a recipe book similar to today’s format. The well known Mrs Beeton’s Book of Household Management (first published in 1861) was largely based on Acton’s work. 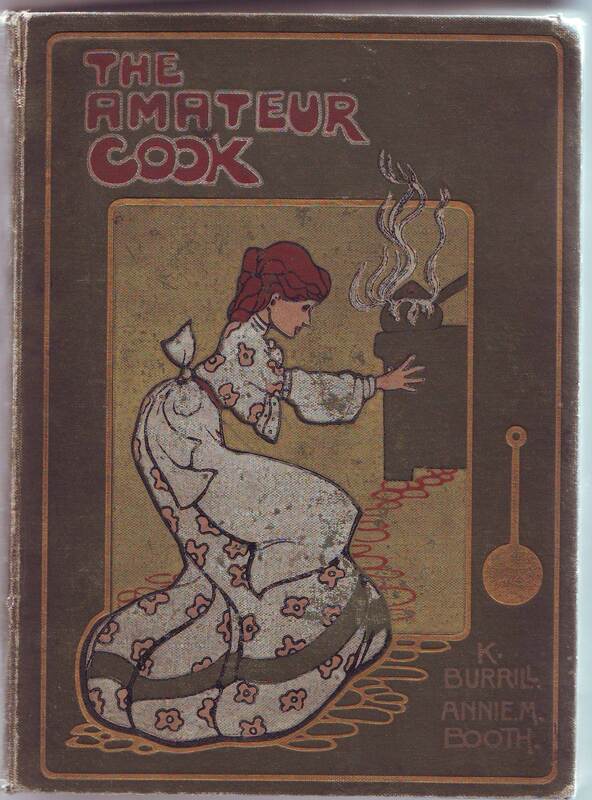 We hold the revised and enlarged edition of Acton’s Modern Cookery for Private Families published in 1875 (first published in 1845). In Acton’s revised edition, her position on cakes and consumption of cake is laid bare (those who like to believe cake can do no wrong, avert your eyes!). She wishes that the space allotted to ‘sweet poisons’ in this edition had been ‘diminished still further’ due to the ‘illness’ the ‘habitual indulgence’ of rich buttery cakes can cause. Acton does concede, however, that occasional consumption of simple buns, biscuits and cakes is ‘not unwholesome’… some good news for cake lovers at least! 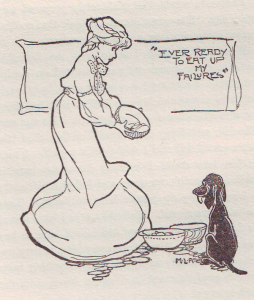 Our MERL Library periodical holdings feature several twentieth-century titles relating to cakes, confectionary and baking – ripe to be utilised by investigators of social, domestic and cultural history, alongside of the baking industry itself. 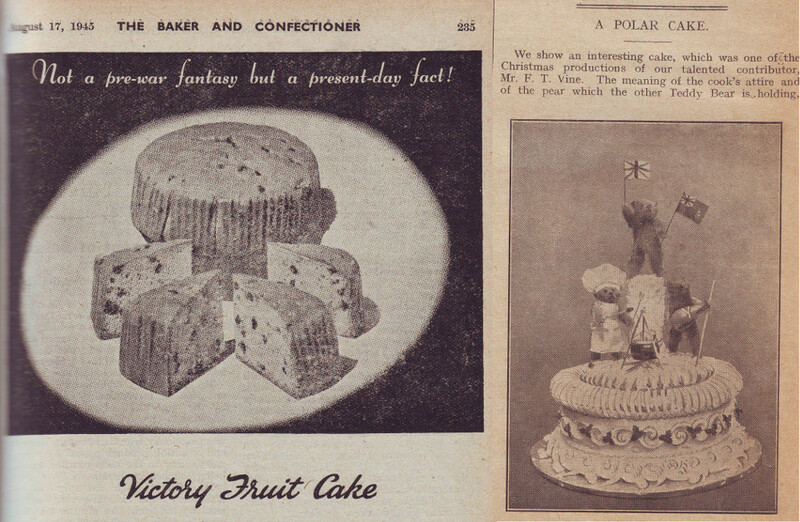 These titles often span the twentieth century, taking in resourceful baking methods to negate the impact of food rationing and how imperial and national achievements were celebrated through the medium of cake, such as victory fruit cakes in 1945 and a ‘polar cake’ to mark exploration in 1910. Our Milling and Baking collection, alongside the titles of the open access MERL library, are ideal for those interested in researching baking in its industrial or scholarly context. For those with a sweet tooth, there are many more cake and baking references to be found within our collections beyond these highlighted for museum cake day, 19 June. Welcome to the launch of our Special Collections blog, the beginning of a new University Museums and Special Collections Services (UMASCS) venture, although an idea that we have been contemplating for a while. Our hope is that this blog will help provide new insights into the extraordinary range and depth of the University of Reading’s archives and library collections and explain how our activities and services aim to improve their accessibility and increasingly extend and promote their use. It is hard to sum up the diversity of what we hold, although a brief wander among our book stacks provides an eclectic glimpse of anything from tractor manuals to nearly 500 different editions of Samuel Beckett’s work, alongside the 4,000 books of the Mark Longman Library on book and publishing history and the archives of biscuit company Huntley and Palmers. We are also home to internationally important archive holdings, including two Designated collections, the Archive of British Publishing and Printing History and the Samuel Beckett Archive. Our aim is to share the writing of this blog (at least initially) among UMASCS staff. Over the coming months, this will help us introduce not only our collections but also ourselves and our work as well as explain what we do ‘behind the scenes’. But we also intend the blog to offer updates and more detailed reports on the various projects that underpin many of our activities – some directly linked to supporting new research, often involving close collaboration with researchers, while others focusing on collections development that continues to build our capacity to extend new knowledge of our collections in the digital age.